Racing across Lantau Island on the Airport Express, I remember catching my first glimpse of the Hong Kong skyline through the steamy windows. At that instant, I knew I was about to uncover a new favourite travel destination. And Hong Kong delivered. Don’t get me wrong: 24 hours in Hong Kong truly isn’t enough time experience everything the city offers. Hong Kong is a massive assault to all the senses. Trying to absorb it all on a tight timeframe is only bound to fester into an obsession to return as soon as possible. Hong Kong’s food scene alone might well convince you to transform one day into a week to prevent a mutiny from your tastebuds and their newfound favourite flavour combinations! Drag yourself out of bed in the wee hours of the morning to get an early start on your first 24 in Hong Kong in Kowloon Park. A early-morning stroll around this tranquil greenspace in Tsim Sha Tsui is the perfect transition from a jet-lag-induced sleep to the hectic streets of Hong Kong. To loosen up for the day ahead, join dozens of early-rising Hongkongers perfecting their morning Tai Chi routines. After limbering up (or at least faking it!) tiptoe over to the Bird Lake, Aviary, and Chinese Garden to spot some of the over 100 species of birds that call Kowloon Park home. 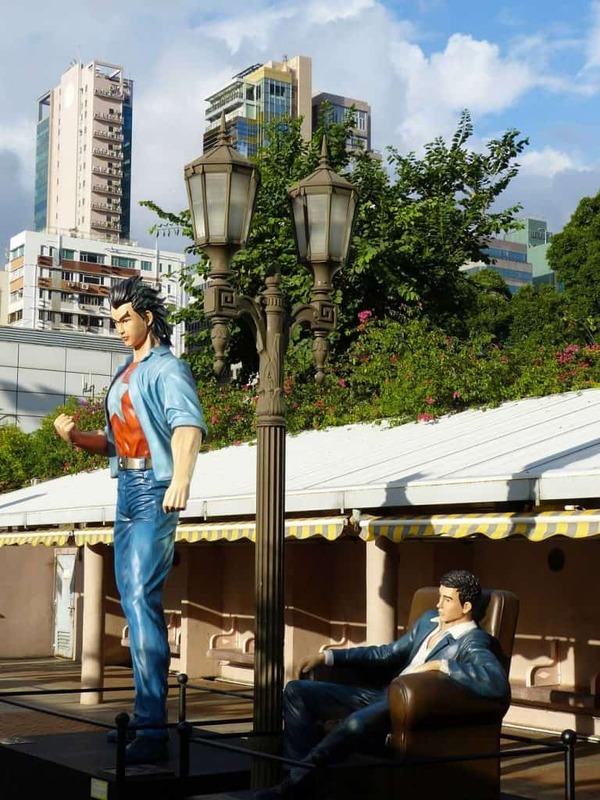 Before leaving, sneak a peek at the park’s quirky Hong Kong Avenue of Comic Stars featuring larger-than-life-sized statues of Hong Kong comic book heroes like Wang Xiao Hu from Dragon Tiger Gate and Q-Boy from White Cat Black Cat. Preparing for your Hong Kong itinerary? Don’t forget to protect yourself with travel insurance! Don’t be surprised if you see Hongkongers chowing down on oh-so-yummy dim sum early in the morning. 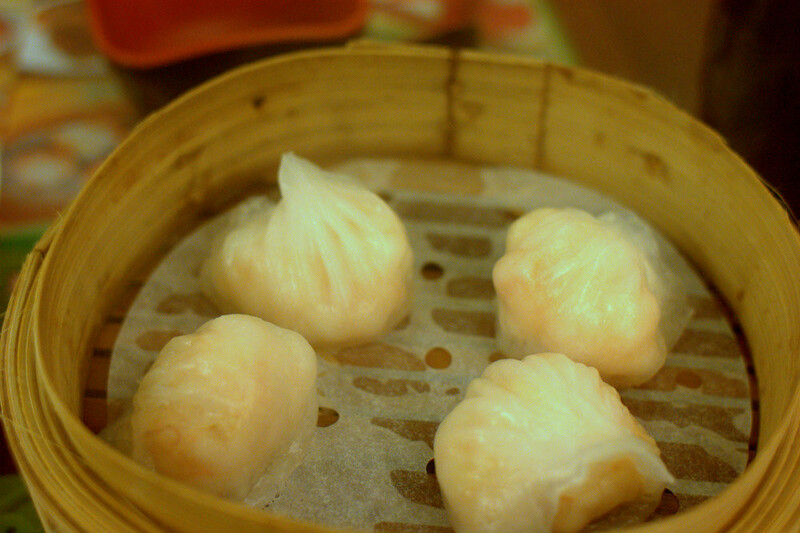 Dim sum is a common breakfast in Hong Kong, even if it seems like more of a midday or evening snack to our tastebuds. Australia Dairy Company (47 Parkes Street): The most famous breakfast joint in Hong Kong. Every day fans queue up, sometimes for hours, to secure a seat in this perpetually jammed eatery. Their famous scrambled eggs and steamed milk convert even the fussiest of skeptics. The runny macaroni with Chinese ham looks like something your shih tzu would cough up, but is surprisingly tasty. Café Kool (64 Mody Road): A big buffet-style breakfast in the Kowloon Shangri-La Hotel. Both Asian and Western favourites are served and they rank among the most delicious breakfasts in the city. The Verandah (Salisbury Road): Another buffet breakfast located at The Peninsula, Hong Kong’s oldest luxury hotel. The continental-style breakfast served here is a class above what you’d expect at most hotels. And all without the surly servers that characterize so many Hong Kong dining experiences. With your stomach satisfied, head to the southern fringes of Kowloon to the Tsim Sha Tsui Promenade. All along the promenade the views of Victoria Harbour and the skyline of Hong Kong Island are arresting. Exercise your camera’s shutter while walking west along the Avenue of Stars, passing the famously kitschy Bruce Lee statue (currently temporarily displaced across Salisbury Road), on route to the Kowloon Public Pier. Launching from the pier is the Star Ferry, a service chugging the Kowloon-Hong Kong route for over a century. 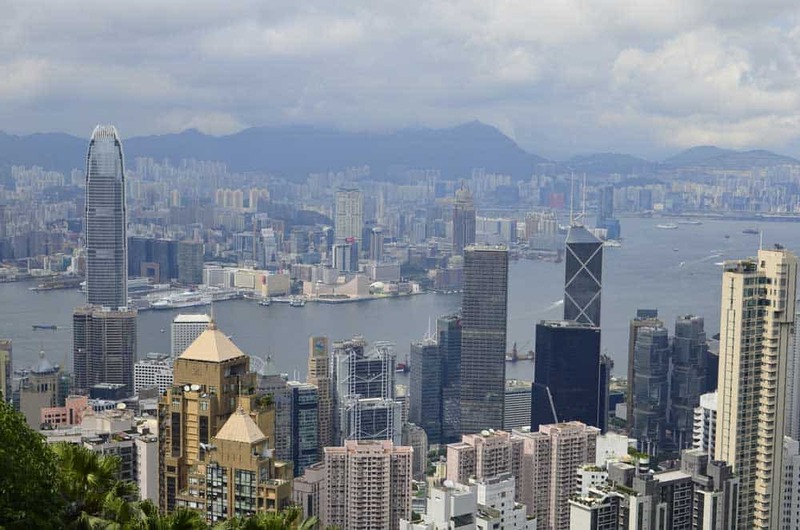 Even with road tunnels and a metro line now connecting the mainland peninsula to Hong Kong Island, millions still criss-cross the city on one of the world’s best commutes. (Click here for more tips about getting around Hong Kong). And why wouldn’t they? At a penny-pinching HK$2.50-HK$3.40 ($0.32-$0.44) each way, the Star Ferry is by far the best cruise you’ll ever find for so cheap—the views are simply spectacular! No wonder it’s always listed among the best things to do in Hong Kong. Hop-On Hop-Off Victoria Harbour Discovery: A convenient & fun waterside tour featuring unlimited boat rides between Kowloon and Hong Kong Island’s main docks including Tsim Sha Tsui, Wan Chai, Central, and Hung Hom. Victoria Harbor Guided Heritage Cruise: Join in on this unique 45-minute tour on Hong Kong’s oldest red-flag Chinese sampan, The DukLing, as a professional tour guide draws a picture of the famous harbour’s grand history. Aqua Luna Cruise to Stanley: Venture a little further on this 90-minute boat ride to Stanley aboard the city’s most famous junker, the Aqua Luna. From the Central Ferry terminal in Hong Kong, walk about 20-25 minutes (or take a cab) to the Garden Road Terminus of the Peak Tram. Like the Star Ferry, the Peak Tram occupies a massive space in the history of Hong Kong. Way back in 1888, the Peak Team began to shuttle passengers up Victoria Peak, the highest point on Hong Kong Island. Today, millions ride the tram every year, admiring fantastic views of the city as they ply the steep 1.4-km route. A regular return ticket on the Peak Tram costs HK$45 ($5.77), but I’d recommend splurging on the Peak Tram Skypass. The pass is HK$90 ($11.54) well spent, including both a return ticket on the tram and access to The Sky Terrace 428, a 360-degree panorama point in Peak Tower that offers some of the finest views of the formidable Hong Kong skyline. Hop-On Hop-Off Bus Tour + Skip-the-Line Peak Ticket: Avoid the insanely long wait at the Peak Tram by grabbing this combo ticket that includes a full-day of hop-on hop-off sightseeing bus and Peak Tram ticket. Peaks to Piers Walking Tour: A superb private tour of HK that’s fully customizable to your liking. Also throws in a skip-the-line Peak Pass to save you a MASSIVE amount of time. Central and Victoria Peak Cultural Tour: Get to know Central and Victoria Peak a little better on this private historical half-day excursion. Descending back to the city, head over to Wellington Street in Central Hong Kong to load up on a hearty lunch. Wellington Street is one of the world’s best food streets, wafting the aroma of its sweet and savoury unto the sidewalks as passer-bys salivate. Mak’s Noodle (77 Wellington Street): Any serious discussion of food in Hong Kong is bound to include this city staple. Wonton noodle soup is their signature dish. And they knock it out of the park. 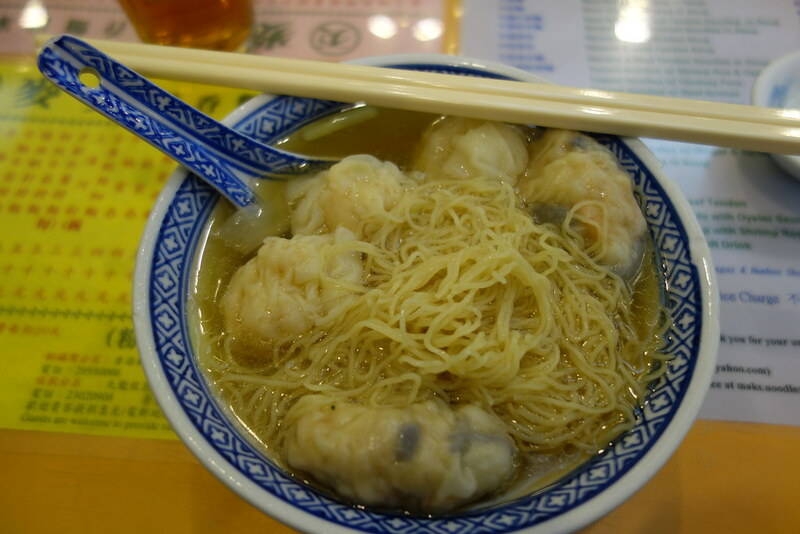 Treat yourself to Hong Kong’s silkiest and most succulent shrimp wontons and noodles. Tsim Chai Kee Noodle Shop (98 Wellington Street): A traditional noodle shop that leaves your palate in awe. Their signature dish combines their famous fishballs, shrimp wontons, thinly-sliced beef, and hand-pulled noodles in an umami-drenched broth. Butao Ramen (69 Wellington Street): If you’re craving Japanese- rather than Cantonese-style noodles, this delectable ramen joint is your ticket. You’ll hopefully arrive early enough to sample one of the limited 300 bowls of ramen they serve up daily. Like ramen shops in Tokyo, ordering at Butao Ramen takes place via a menu card with all of the options laid out. Opt for their traditional Butao King, a classic tonkotsu-style pork bone broth, along with the meat, veggies, and condiments of your choice. Interested in indulging in the best food Hong Kong has to offer? Don’t miss out on these excellent food tours! Central & Sheung Wan Food Tour: Wander through two of Hong Kong Island’s most interesting neighbourhoods as a guide takes you off-the-beaten-path to six different restaurants & shops to try local delights like dim sum, noodles, and speciality desserts. Hong Kong Island Food Tour: An awesome 3.5-hour food adventure plunging you into the busy streets of HK Island to taste supreme local foods like goose, dumplings, and dim sum. Dim Sum Lunch in Central: An excellent way to experience some of the best and most authentic dim sum in Central District in a small-group setting with a professional guide and less than 10 new friends. Slip around the corner from Wellington Street’s cavalcade of deliciousness to Luk Yu Teahouse (24-26 Stanley), a remnant from Hong Kong’s colonial past. The traditional art deco interior featuring stained glass windows and rich wooden wainscotting is the perfect atmosphere for enjoying an afternoon tea. Besides the assortment of sip-worthy Chinese teas, Luk Yu Teahouse is famous in Hong Kong for its dim sum. If you’ve still got room in your belly after lunch, sample their silky xiao long bao dumplings or pork buns. Authentic Street Food Tour: Venture around a residential neighbourhood for an afternoon to taste an unbelievable array of fabulously tasty dishes & food joints that only locals would know about. Private Culinary Tour: Take to the streets of Kowloon and Hong Kong Island on this 4-hour culinary adventure that gobbles down everything form dim sum & char siu to milk tea & sweets. Includes hotel pick-up. Hong Kong Island Private Food Tour: Sample four delicious dishes like dim sum or wonton noodles at local restaurants with help from your own knowledgeable private guide. Also visits a wet market and medicine shop to get a true taste of the city’s more traditional elements. From Central, jam yourself into the MTR bound for Causeway Bay (or Tung Lo Wan in Cantonese) in Wan Chai. Causeway Bay is Hong Kong’s answer to Fifth Avenue in New York with all of the glitz, glamour—and prices!—you’d expect from a ritzy shopping district. Times Square, one of Hong Kong’s most popular malls, is a good place to start exploring Causeway Bay. Much like Ginza in Tokyo, Times Square features major fashion brands like Dior, Louis Vuitton, and Gucci. Fashion isn’t all there is to it. Sportier brands like Sketchers, Columbia and Vans vie for your attention along with cafés, bookstores, and restaurants. 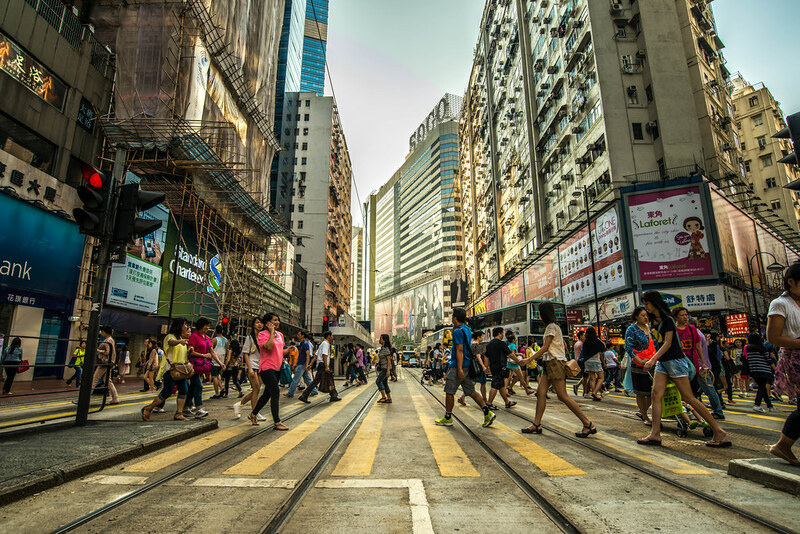 If buzzing up escalators in a 9-storey shopping mall isn’t your cup of matcha, skid over to street level and peruse the boutiques along Kingston and Patterson at Hong Kong’s so-called Fashion Walk where you’ll find international brands like Diesel, DKNY, H&M and Fossil. Causeway Bay Cantonese Lunch and Market Tour: Explore cuisine through the eyes of a Hong Kong local who’ll prepare up to 5 Cantonese dishes for your group—and show you how it’s done. Crystal Jade La Mian Xiao Long Bao in Times Square: Eat favourites like xiao long bao and Lanzhou La Mian at one of HK’s most recommended restaurants (Michelin approved for 7 straight years!) with this discounted meal voucher. Snow Garden in Causeway Bay: Enjoy a discounted Shanghainese meal at another one of Causeway Bay’s Michelin-starred restaurants. Okay. So you’re in Hong Kong, one of the top cities in the world for foodies. It would be a shame to waste the opportunity to eat a tad more, wouldn’t it? From Hong Kong Island whiz under Victoria Harbour on the MTR to Kowloon’s Mong Kok station. Mong Kok is one of Hong Kong’s craziest quarters, buzzing at nearly every hour of the day. Ply through the markets and street-side vendors of Mong Kok to catch a fleeting glimpse of a side of Hong Kong that’s slowly disappearing as the city develops. Tim Ho Wan (18 Hoi Ting Road or 9-11 Fuk Wing Street): You always know you’re in for a treat when you sit down for a meal at Tim Ho Wan, perhaps the cheapest Michelin-starred restaurant in the world. Ever since Mak Kwai-pui swung open the doors to his original Mong Kok location in 2009, his celebrity chef status soared. The original Mong Kok location is long gone. But the new Olympian City location in Mong Kok or, even better, on Fuk Wing Street in Sham Shui Po stay true to the spirit of Tim Ho Wan. The char siu (BBQ pork) buns and ha jiao (steamed shrimp dumplings) here are best-in-class. Lei Garden (121 Sai Yee Street): Another Michelin-starred Cantonese favourite in Mong Kok. Fill up on the cheung fun (rice noodle rolls) and shrimp-stuff har gau (Chinese dumplings). Lei Garden is alway busy so book ahead! Hong Kong Dim Sum Cooking Class: Learn how to make your own dim sum at home with this cooking class in Tsim Sha Tsui! Includes hotel-pick and drop-off. Dim Sum Sightseeing Bus Tour: Combine a sightseeing trip around the city with your love for dim sum on this 2.5-hour double-decker bus tour. At the tour’s heart is a chance to gobble down some Michelin-starred dim sum! Dim Sum Food Tour: A quick 2-hour tour that dabbles in oh-so-yummy dim sum at a local restaurant in Kowloon. Don’t let your dim sum belly stop your Hong Kong itinerary in its tracks! Get movin’ back to Victoria Harbour either by foot or with the MTR, and get set to trounce the evening in style on the water. Seeking out a memorable moment for your Hong Kong trip? 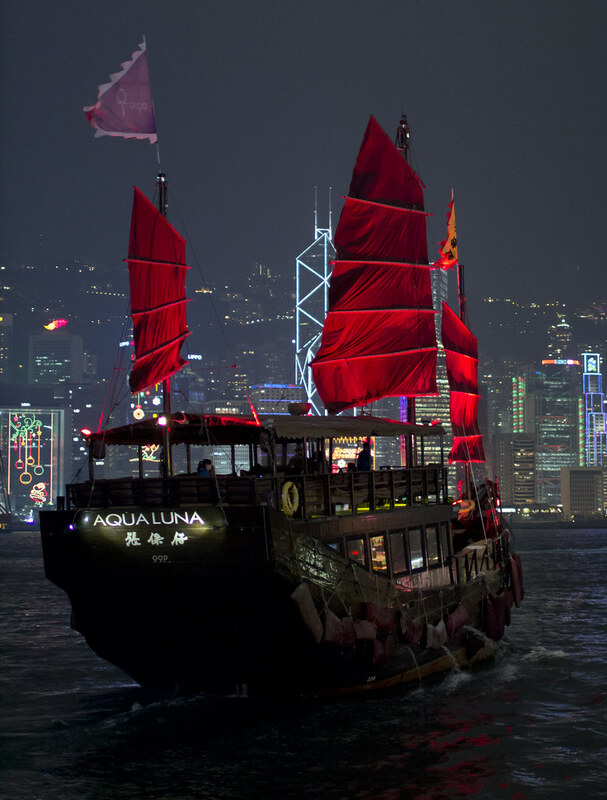 Hop onto the Aqua Luna, a historic Chinese junk boat, for an evening cruise on Victoria Harbour. The 45-minute boat trip includes a complementary drink to sip on as you watch the sun sink below the bay. Even more remarkable is Aqua Luna’s Symphony of Lights cruise that times your boat trip with Hong Kong’s nightly light show. In any case, if you opt for one of the more frequent Victoria Harbour evening cruises, be sure to get back to the Tsim Sha Tsui Promenade by 8pm to watch the cavalcade of colours overtake the Hong Kong skyline. Authentic Junk Cruise and Dim Sum Experience: Start your evening off with a superb dim sum meal before escaping the Symphony of Lights crowd to watch the show aboard a traditional Chinese junk boat. Hong Kong After Dark: Watch HK spring to life on this spectacular night tour where you’ll stroll through traditional market, eat amazing street food, and enjoy the buzz of city nightlife. Night Tour of Hong Kong: A 5-hour evening tour that skirts both sides of the harbour and includes a Peak Tram ticket, entry to Madam Tussaud & the Sky Terrace, an a cruise. After surrendering your eyeballs to the Symphony of Lights, walk north along the always-exciting Nathan Road towards Jordan, a working-class neighbourhood that, like Mong Kok, is a taste of Kowloon at its more traditional. As the evening hours fade away to darkness, the highlight of Jordan is Temple Street Night Market. If you’ve already hit up Taiwan, you’ll notice the Temple Street Night Market feels different than the night markets of Taipei. Plying through the dense throng of market stalls, Temple Street Night Market feels more like an unbridled flea market. Vendors peddle wares ranging from men’s clothing and fashion accessories to vintage second-hand goods like cassettes and long-out-of-date electronics. Brush up on your Cantonese bargaining skills to score the best deals at Temple Street Night Market! Even better, in true Hong Kong fashion enter with an open mind and room in your tummy for yet another round of local favourites. Filter through the dai pai dong (open-air food stalls) of Temple Street Night Market to steal a taste of some delicious street-side delights like fishballs or fried oyster omelettes. Want to dig further into Temple Street Night Market & Kowloon? Check out these excellent tours! 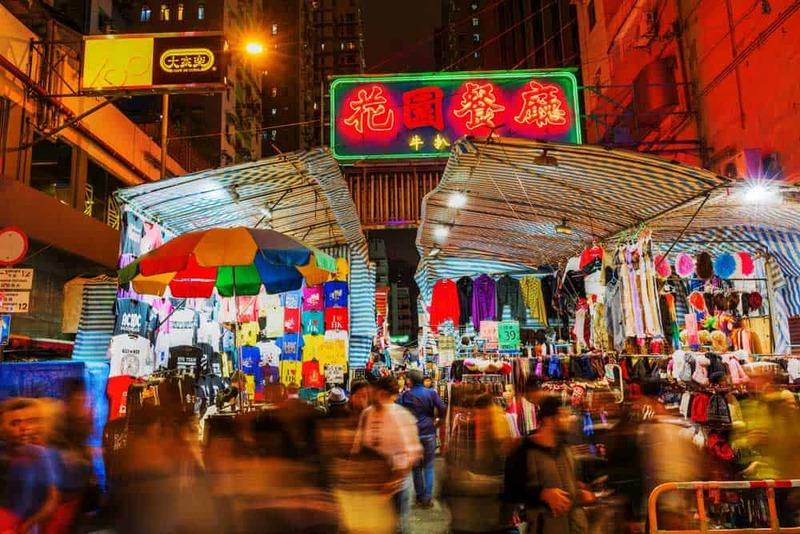 Hong Kong Kowloon Night Tour: Join a guide as they take you through the coolest areas of Kowloon by night including Yau Mau Tei and the lively Mong Kok area! Hong Kong Night Tour: Combine an evening cruise (with unlimited drinks aboard) with a visit to The Peak on this complete night tour. Ends with a visit to the bustling Temple Street Night Market. Night Walking Tour: Get to know Kowloon’s nightlife better with the help of a seasoned guide on this excellent walking tour. 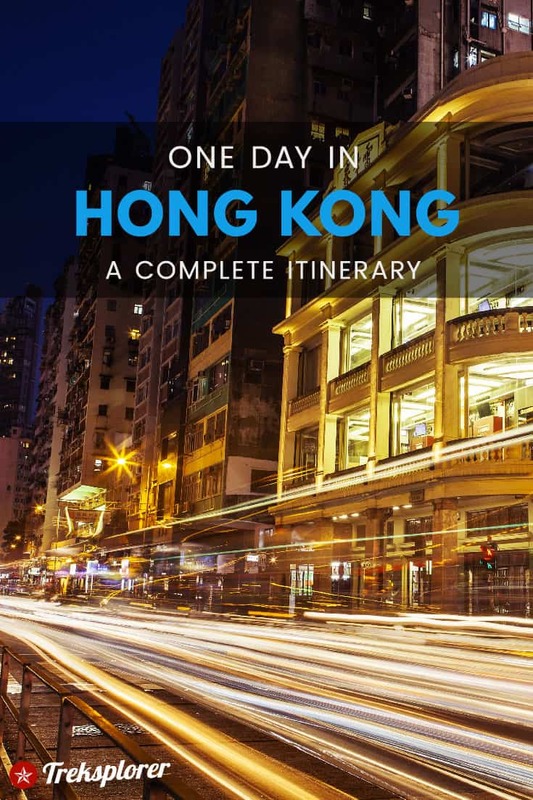 Includes stops at Temple Street Night Market, The Peninsula Hotel, and the infamous Chungking Mansions. Choosing where to stay in Hong Kong won’t be the same hair-pulling experience as searching in a sprawling city like Tokyo. It’s hardly easy either. The quality of accommodations in Hong Kong varies greatly from dingy budget guesthouses in the somewhat-sketchy Chungking Mansions to ritzy harbourfront luxury hotels. And the prices? Well, let’s just say Hong Kong isn’t exactly Bangkok or even Kuala Lumpur. In any case, here are a few high-quality hotels to help start your search. Urban Pack: A clean, comfortable but no-frills economy hotel and hostel located within a one-minute walk of Tsim Sha Tsui MTR station. Both the private rooms and dorms are excellent value in a city with rising accommodation costs. Butterfly on Prat Boutique Hotel: A modern boutique hotel with rooms that bestow an extra couple feet compared to the usually cramped Hong Kong hotel rooms in this price range. Some room reservations include a free 4G pocket WiFi device for instant Instagramming on-the-go. Hotel ICON: A stylish luxury hotel located close to the Tsim Sha Tsui Promenade. The stupendous rooftop pool and bar offers some of the best harbour and skyline views among hotels in Kowloon. 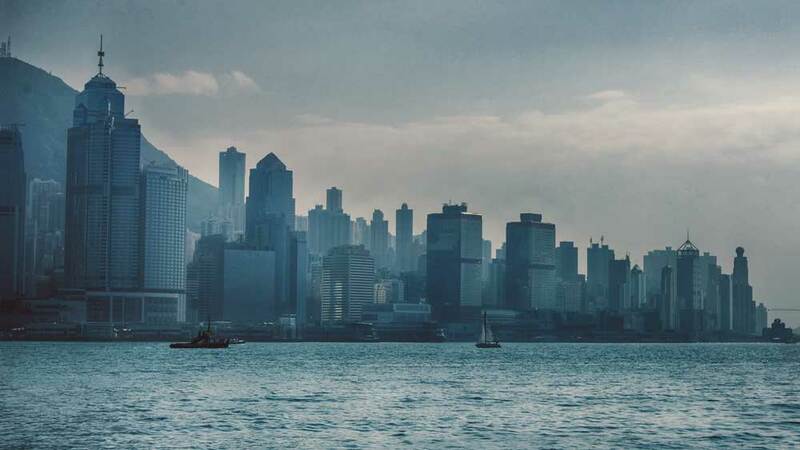 Historical Walking Tour of Hong Kong: Get the low-down on Hong Kong’s entire history on this 3-hour walking tour detailing everything from its early days as a Chinese fishing port to its not-so-distant British colonial past and current status as a global city. Hong Kong Food Tour: Experience the flavours of Hong Kong on this 3-hour evening food tour of Central and Sheung Wan that uncovers small local hidden gems off the tourist trail. Highlights include wonton noodle soup, roasted meat, dim sum, and Chinese baked desserts. Hong Kong Night Tour: See the city at its finest on this unique night tour of Hong Kong. Start with a evening cruise on Victoria Harbour where you’ll enjoy complimentary drinks as you watch the skyline of Hong Kong twinkle before driving the windy road up to Victoria Peak to catch the city from above. Tour includes dinner on Victoria Peak and a final stop at Temple Street Night Market. By air: Over 100 airlines fly into Hong Kong International (HKG) including Cathay Pacific, my favourite airline in the world. (I won’t deny that a random free upgrade to first class on a 15-hour flight from Toronto to HKG influenced that opinion.) The best time to visit Hong Kong for airfares tends to be the fall and winter outside of major holidays like Chinese New Year. Looking for cheap flights to Hong Kong? I’d HIGHLY recommend searching for airfare deals on CheapOair! It’s my new go-to for finding international flights as they always seem to unveil better prices than other more popular sites like Skyscanner. Still need more ideas for your quick Hong Kong trip? Spice up your Hong Kong itinerary with some of these additional ideas. Fascinated by science and technology? Skip out on afternoon tea to geek it up the Hong Kong Space Museum or Hong Kong Science Museum. Need a spiritual awakening? Grab a moment of bliss at Man Mo Temple or Wong Tai Sin Temple, two of the most beautiful temples within a quick reach of the city centre. Missed your flight out? That can be a good thing! Even more of Hong Kong is at your fingertips. Move beyond the city centre, hitting up gems like the beautiful Tai O fishing village and Po Lin Monastery on Lantau Island or Ten Thousand Buddhas Monastery in Sha Tin. Shanghai: From one mega financial hub to another, China’s biggest city is just a short plane ride from Hong Kong. Get started planning out your trip with the complete itinerary for one day in Shanghai.